Founded in 1962 on the campus of Stephen F. Austin State University in Nacogdoches, the East Texas Historical Association is committed to the preservation and enhancement of East Texas' great historical heritage and welcomes all who share our vision and interests. 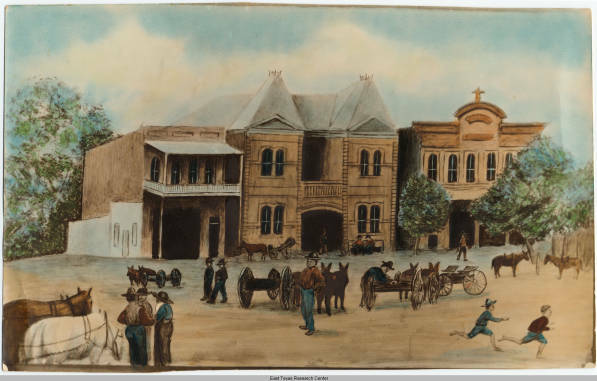 Through our meetings, publications, and other efforts, the Association attempts to discover, collect, and preserve historical records, manuscripts, letters, journals, maps, pictures, and other materials related to East Texas history; to encourage the preservation of buildings of historical interest and architectural worth; and to publish and make known the rich history with which this part of Texas is endowed. 2019 ETHA NEW DEAL Spring Symposium (Free Event - Registration Required) Click here. Location: Lou's Place # 2 on map. Put 1201 Wesleyan in your GPS - it will get you to the Administration Bldg. Almost directly across the street. Parking is free on Saturday. CALL FOR PAPERS: "The East Texas Historical Association invites proposals for papers and sessions for its 2019 annual Fall Meeting, to be held in Nacogdoches, TX, at the Fredonia Hotel from October 10-12, 2019. The Association also conducts a competition for the best student session. The winners receive the Portia Gordon Best Student Session Award, and the criteria includes quality of writing, scholarship, and contribution to East Texas history. Remember to request a Student Session Form if you are putting together a student session. Otherwise, request a Standard Form. Membership in the association is available at various levels and subscription costs, suitable for the individual or for institutions interested in the heritage of East Texas and its preservation for future generations. All members receive the East Texas Historical Journal, published each fall and spring. Since 1971 the Association has established new programs to encourage the study of East Texas history and to honor those who do so. To learn more about any of our programs, please visit our Awards page. 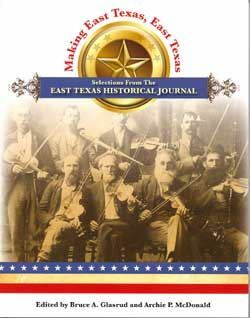 C. K. Chamberlain Award honors the article judged (by a panel of peers) the best to appear in the East Texas Historical Journal within a year. 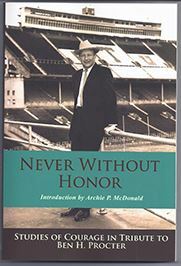 Ralph W. Steen Award honors those who have served the Association through activities primarily other than writing. Lucille Terry Historical Preservation Award, also sponsored by the Texas Forestry Museum, honors outstanding works of historical preservation of landmarks in East Texas. Ottis Lock Endowment Awards honors outstanding teaching, the best book on East Texas each year and research grants for those who study East Texas historical topics; A number of research grant awards are made annually, usually in amounts of $500 to $1000. The L. Patrick Hughes Legacy Award, which includes an honorarium to fund further work, is designed to honor those organizations that have, over time, demonstrated a continuing interest in the preservation and promotion of regional heritage through a variety of programs. We hope that you will enjoy the East Texas Historical Association and be inspired to uncover more about the history and heritage of this special part of the great State of Texas. If you share our interest in East Texas history, we invite you to join us. Visit our membership page to begin your membership. Or register for one of our conferences.